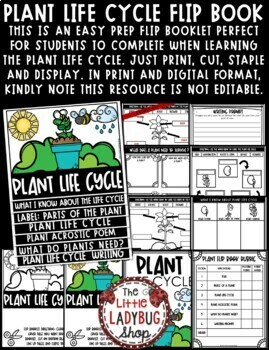 Have your students grow with this interactive Plant Life Cycle Flip Book. 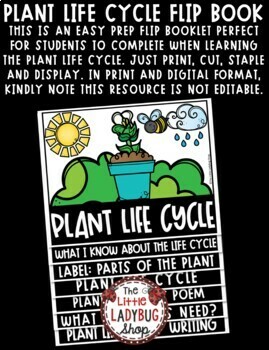 This is such an easy prep flip book and it is perfect to teach and display as they study about plants and the life cycle! 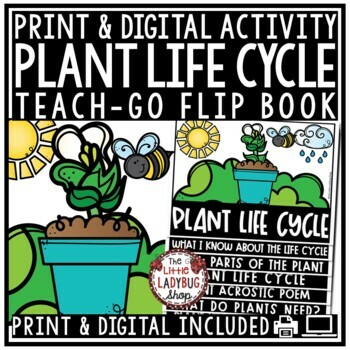 Click here to save on this Plant Life Cycle Flip Book which is part of my HUGE Year Long Flip Book Bundle! Writing about what is needed for plant to survive (bee/ pollination, sun, water, and soil).